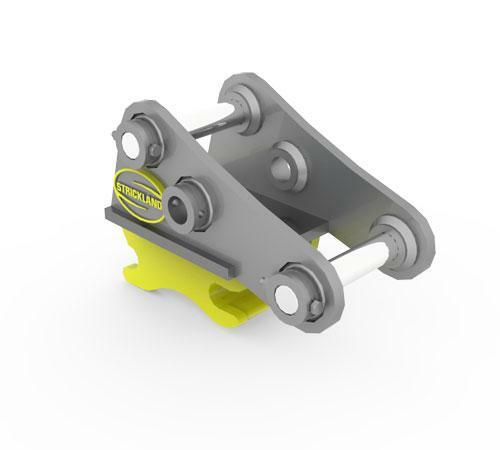 Strickland Manual Couplers are manufactured to O.E.M. specs for all makes and models from 1 Metric Ton to 8 Metric Ton machines. T1 Steel Construction in all wear areas. Spring loaded rear hook allows for ease of operation. Rear safety lock pin secures attachment in position.